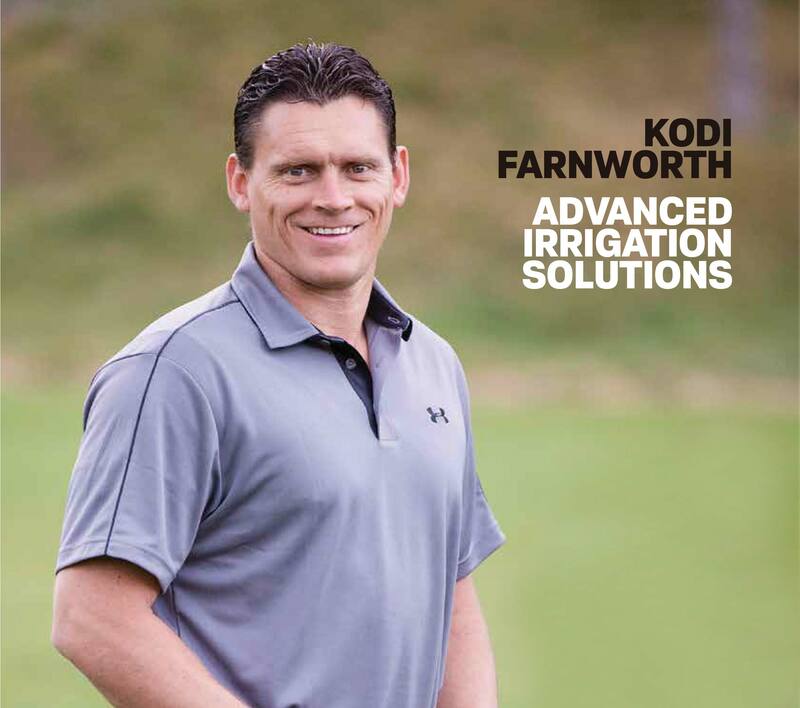 From irrigation design and central control systems to water conservation strategies and water audits, Kodi Farnworth, president of Advanced Irrigation Solutions, says, “I’m really interested in working in water conservation. To date, I have saved over 70 million gallons per year on various landscape irrigation systems I have designed or adjusted. My motivation is to save water by educating people in the irrigation industry about proper design, uniformity, matched precipitation, the use of the correct materials for the new installation, methods to remodel existing systems to cut there water use by 20 to 60 percent.” Farnworth’s AIS is experienced with large-scale commercial projects as well as residential projects. Mountain Home AFB, Sun Valley Co. Condos, Huntsman Springs in Jackson, The Lodges at Fish Creek in Jackson, and the Latter Day Saints Temple in Twin Falls.